I got the chance to attend an early screening of Barry Jenkins’ ‘If Beale Street Could Talk’ in December and was left speechless, emotional and in awe of the storyline, cinematography and performance of the actors. Based on James Baldwin’s 1974 novel of the same title, ‘Beale Street is set in the 1970’s and depicts the love story between two young children whom having grown up together, end up falling in love as young adults with the hope of sharing a life together, until a major incident interrupts their plans. 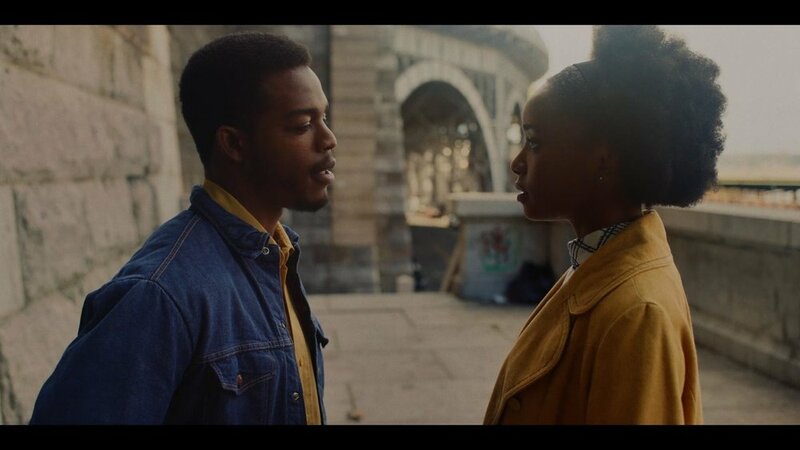 As much as it politically thought-provoking film, ‘Beale Street is also story of love’s ability to strengthen and empower on the quest for liberation and fulfilment. Sounds interesting so far? Please read on! To celebrate its UK release, afronoire has teamed up the the:nublk to give away tickets to a very special screening of the film plus Q&A with Barry Jenkins (director), Regina King and Nicholas Britell (composer) on Friday 8th February, 6.30pm at Picturehouse Central. Enter the competition to win tickets by just emailing hello@afronoire.com with your full name and ‘Beale Street’ in the subject by 8pm on Tuesday, 5th February. The score of the film composed by Nicholas Britell is also worth adding to your playlist for those moment when you feel like relaxing, reading, studying or even doing some light exercise. The composition takes me on a revelling journey that taps into my senses and is certainly a pleasure to listen to.